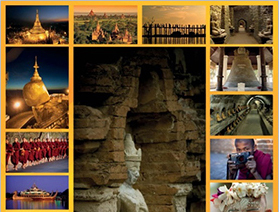 Myanmar Shalom offers “Keng Tung and Vicinity” tour. This out of the way region is rich in culture, breathtaking scenery and friendly people. Myanmar Shalom offers you the adventure of a lifetime when we take you trekking to several hill tribe villages to see the different customs each tribe practices. Different beliefs of Animism, Buddhism and Christianity co-exist together in this remote town.